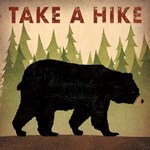 Bears are ferocious and powerful beasts that are feared by animals and humans alike. 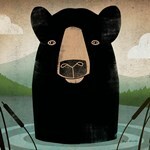 They are strong hunters and are often the most intimidating animal in the habitat they occupy. 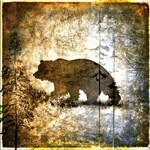 Bear imagery displays power and ferocity along with an understanding and appreciation for nature and the wilderness. 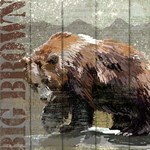 With FastFramePrints.com, you can find all the bear posters, paintings and prints you need! 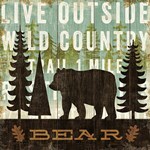 From cuddly cub images to dancing bears, you can choose the style and size piece of bear art that best suits your needs. 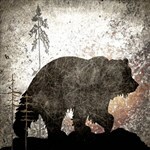 While often viewed as dangerous, these hibernating beasts make a sweet compassionate subject for artists. 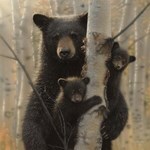 Whether choosing a cartoon bear drawing or a tranquil bear photograph of a cub in the woods, there's a special piece of artwork just waiting to hand on your walls at FastFramePrints.com. 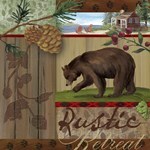 These prints, posters, and art can all be perfect addition to any setting. 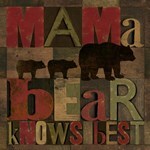 Shop our wide range of bears artwork from FastFramePrints.com today! Image Size: 40" x 13"